LOL! Great details, and title. 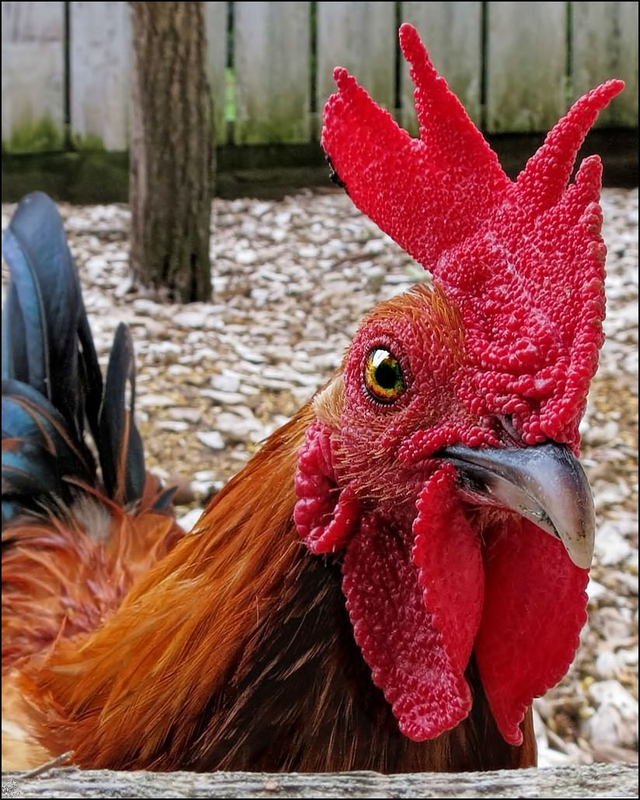 This foto was done for a cheesemaker and the gallo is at Wythe's house in Williamsburg, Va.
My daughter wanted a big print because she thinks the gallo looks angry. What an eye-catching shot. Well done, pard.